This light is the perfect "whatever you need" light. Keychain light, purse light, backpack light, book light,etc. Product show Send Inquiry Here to Get More Information !!! 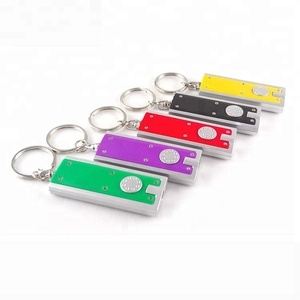 portable zoomable mini key chain gift torch light cheap led flashlight cheap led flashlight Get the price list, just click here ! 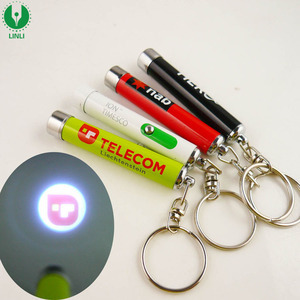 With suitable size,54g for eas cheap led flashlight-As a gift mini flashlight,could set on the key ring,USA C-ree XPE Use universal type1*AA battery cheap led flashlight cheap led flashlight cheap led flashlight-customized logo More information and more competitive price of gift mini flashlight, please click here ! For products sample and the competitive price , please click here to let us know ! 1)Your inquiry will be replied within 2 hours during working time. 6) When mass production,we send photos to show the production line. 8) Before shipment,our QC will have inspecton to make sure the quality. Customized logo projection rechargeable flashlight wholesale portable 18650 aluminum usb mini flashlight More LED Torch Light Our Factory We are one of the professional high power led flashlight manufacturers in China. We have professional producing and testing equipment and 17 years experience in this field. Product's quality and customer service are two most important things to Tank007. Your visit to our factory is always Shipping&Payment We will choose safest, fastest and cheapest shipment for every customer. 2.Quality Guaranteed: Professional Quality Controllers to supervise the production to make sure our quality is the best. ,Ltd is a manufacturer specialized in the research,development and production of Led flashlight. To make sure the goods are well produced and qualified,we have full rang of testing equipments. Alibaba.com offers 549 logo projector flashlight products. About 45% of these are key chains, 36% are led flashlights, and 4% are projectors. A wide variety of logo projector flashlight options are available to you, such as ce, bv, and ccc. You can also choose from aaa, d size, and ag3. As well as from free samples, paid samples. There are 473 logo projector flashlight suppliers, mainly located in Asia. The top supplying countries are China (Mainland), Taiwan, and Hong Kong, which supply 99%, 1%, and 1% of logo projector flashlight respectively. Logo projector flashlight products are most popular in North America, Western Europe, and Southern Europe. You can ensure product safety by selecting from certified suppliers, including 50 with Other, 44 with BSCI, and 44 with ISO9001 certification.